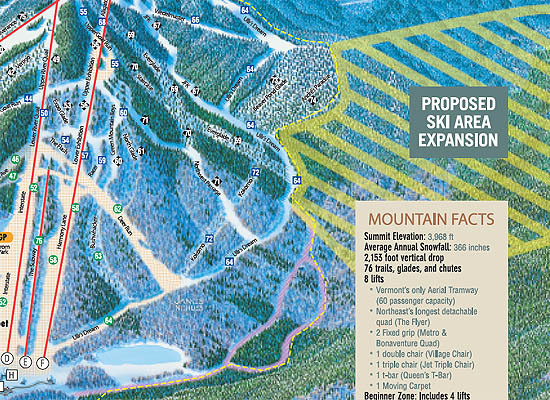 Though it has been decades since plans to expand to the West Bowl first emerged, the proposal is still considered alive. 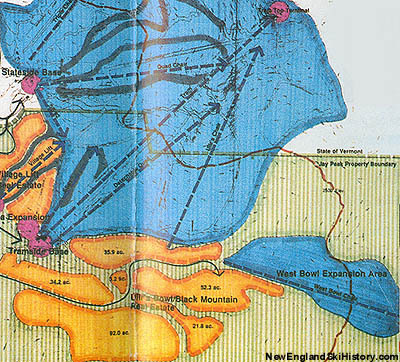 While the details of the proposal have evolved throughout the years, a somewhat separate area remains in the plans, featuring numerous glades and tree island trails served by perhaps three lifts (ranging from quads to high speed six packs). 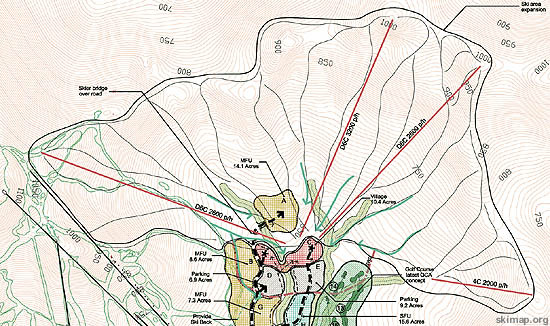 In addition to these lifts serving the new terrain, a high speed six pack would likely run from the bottom of the complex up to the existing main mountain. 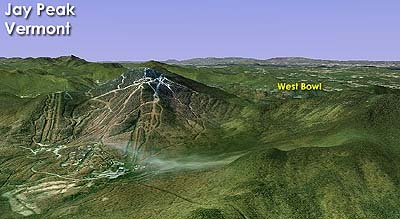 An early 2015 environmental settlement pertaining to past Jay Peak construction related sediment issues has further delayed the West Bowl project until streams are deemed recovered by the state. 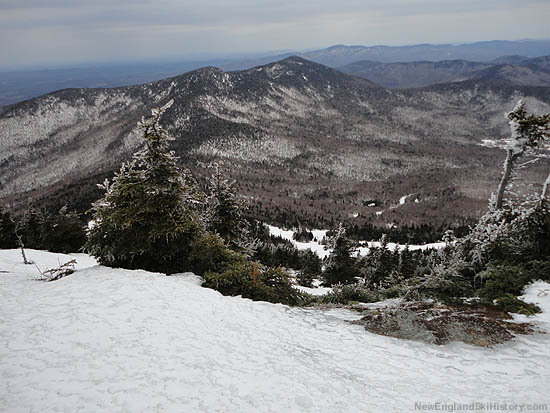 In addition, as of March 2015, the West Bowl project has yet to obtain funding.